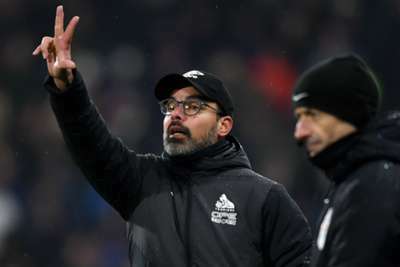 David Wagner remains confident Huddersfield Town can turn things around and avoid Premier League relegation after Newcastle United inflicted their fourth successive defeat on Saturday. It was a frustrating day for the hosts at the John Smith's Stadium, as Huddersfield dominated with 74 per cent of the possession, but they struggled to muster clear-cut chances. Salomon Rondon's 55th-minute strike at the end of a rare flowing Newcastle move ultimately proved decisive and took them six points clear of the bottom three. Huddersfield occupy the last relegation spot having now lost four on the bounce in the Premier League, but Wagner is trying to stay positive. "I feel disappointed, but it's so important for all of us, the dressing room and the supporters of Huddersfield Town, that they believe," Wagner told reporters. "We have lost against Newcastle, played well but lost 1-0, we dominated possession, yet we ended with a defeat which hurts us - something we didn't want. DW: “we did a lot of things right today, but unfortunately we conceded on the corner and didn’t create the clear-cut chances. "We absolutely have to believe that we can turn this. There have been 17 games played with not enough points, but we have a lot of games to play where we can show we can turn this. "If you don't believe, then you shouldn't even start the competition. The most important thing is that we believe and that we get our heads clear for the next challenge and be ready for it." While it was by no means vintage football produced by Newcastle, Rafael Benitez was particularly happy to get a positive result against a team near them in the table. "I said so many times this group of players deserves credit and [Saturday] they came together and worked hard," he said. "We gave the ball away a little bit in the first half, but in the second half we were better organised. The idea was to exploit them on the counter and exploit the space behind them. "We scored a goal and then scored another that was not offside. We have to give credit to our players against a team who always go forward. "Against a team so close to us in the table, and to get three points, it was a good achievement."